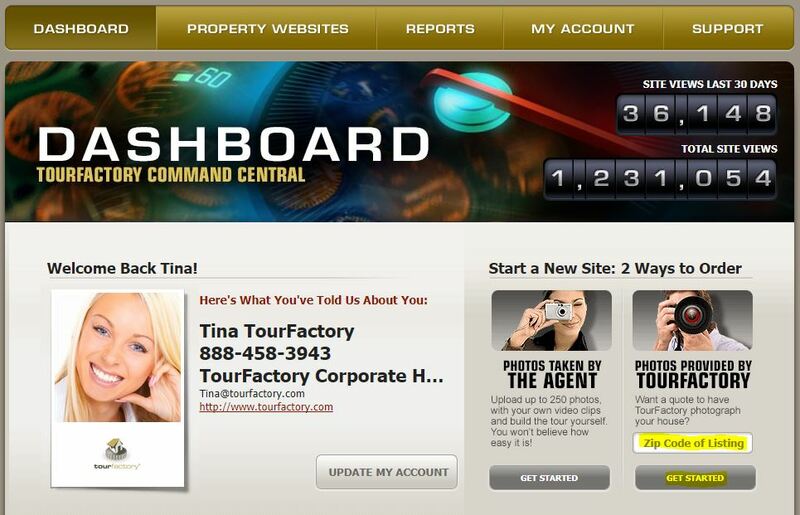 Enter the zip code of your listing and click the “Get Started” button under “Photos Provided by TourFactory”. 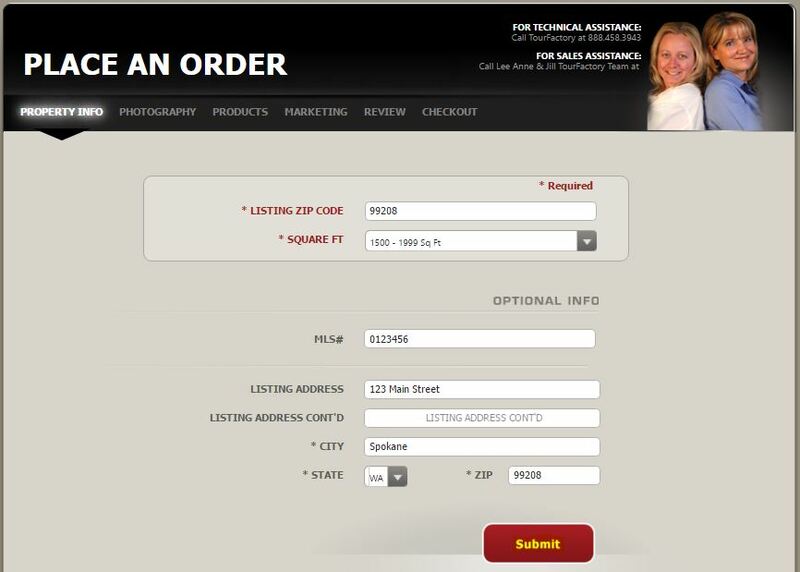 First, select the approximate square footage of the home on the drop-down menu provided. Once you have selected the square footage, you can enter in your MLS number and property address. Note: If you do not have an MLS number yet, you can leave that blank and add the MLS number at a later date. Once you have entered in the property address, click “Submit”. 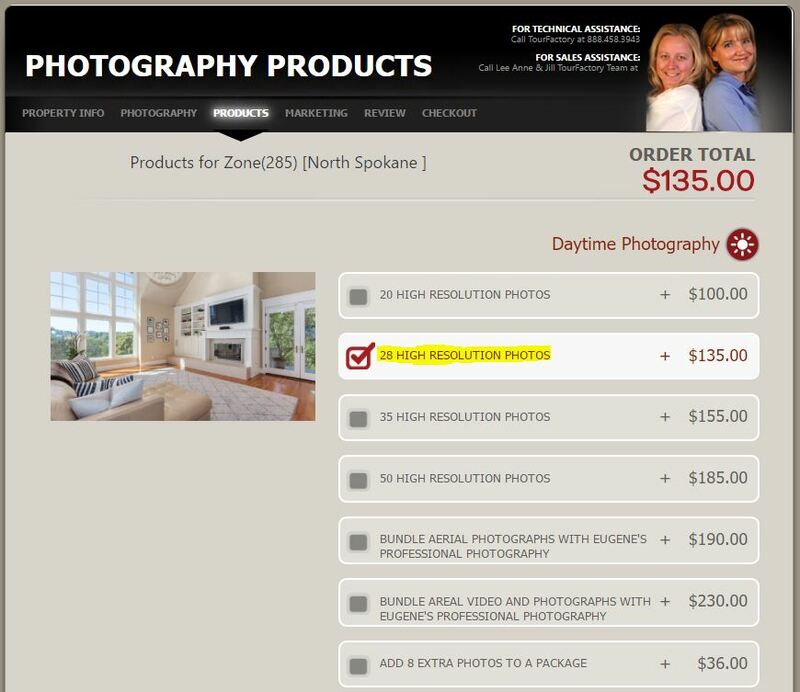 You will then be able to select the type of photography products that you would like to order and click “Next”. Note: If you have recently placed an order, you can order the same exact products for your new property. 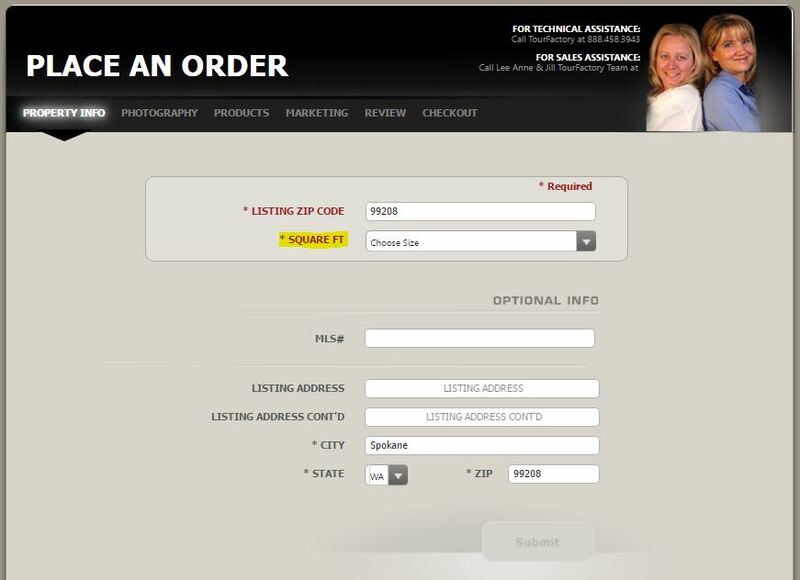 Do this by clicking “Re-Order” on the property address provided under the “Order it Again” section. 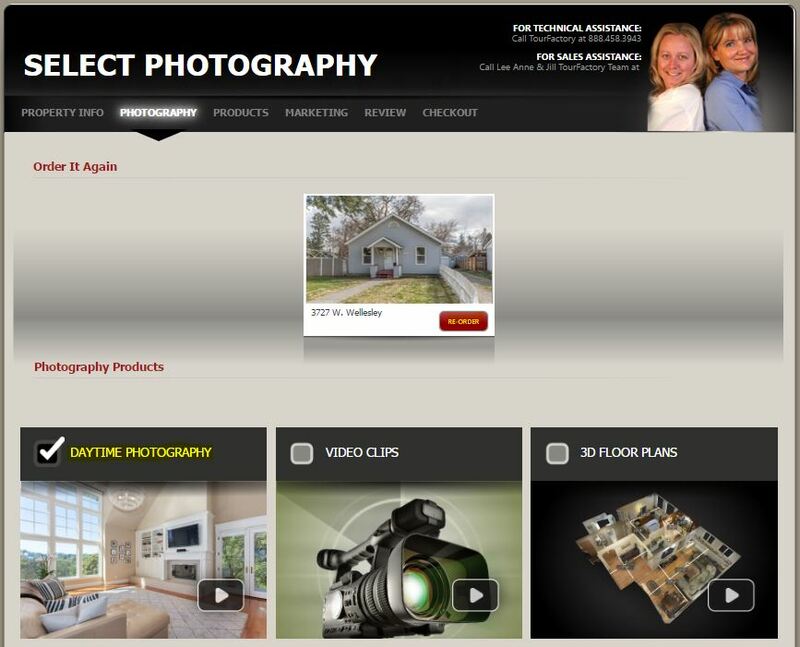 On the Products page, select the specific photography products that you would like to order. 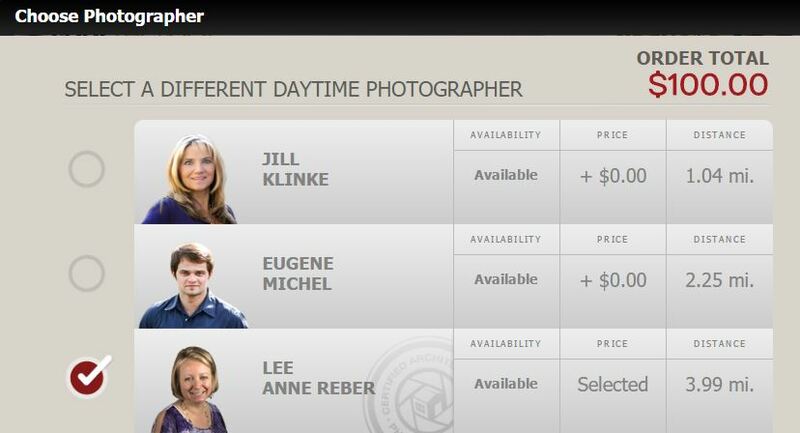 If the photographer that you would like is not the one that shows, click the red “Change Your Photographer” button to select another photographer. Locate the photographer that you would like to use and click the radio button to the left of their picture and then scroll down and click “Review Order”. Once you have selected all of your products, scroll to the bottom of the page and click “Next”. You will then be taken to the Marketing tab where you can select the theme that you would like to use on your property website. Click “Next”. You can now select a product add-on. Please follow the on-screen instructions for the product add-on that you have selected. If it is an item that needs shipping, be sure to verify the shipping address displayed on the screen. If you need help with a specific add-on page, click the link below that corresponds to your add-on. If you have any questions, don’t hesitate to call us at 888-458-3943. On the Review page, verify the products that you have selected. 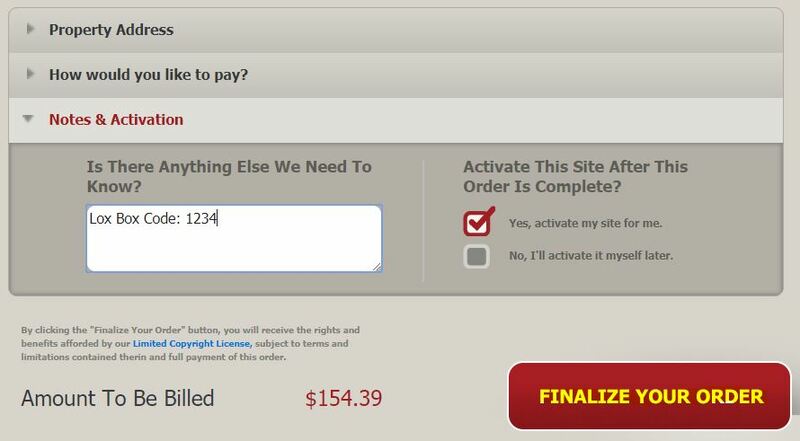 If everything is correct, click “Finalize Your Order”. On the Checkout page, you have two options to pay. If you have a saved card on file, you can choose that card by clicking “Use This Card”. 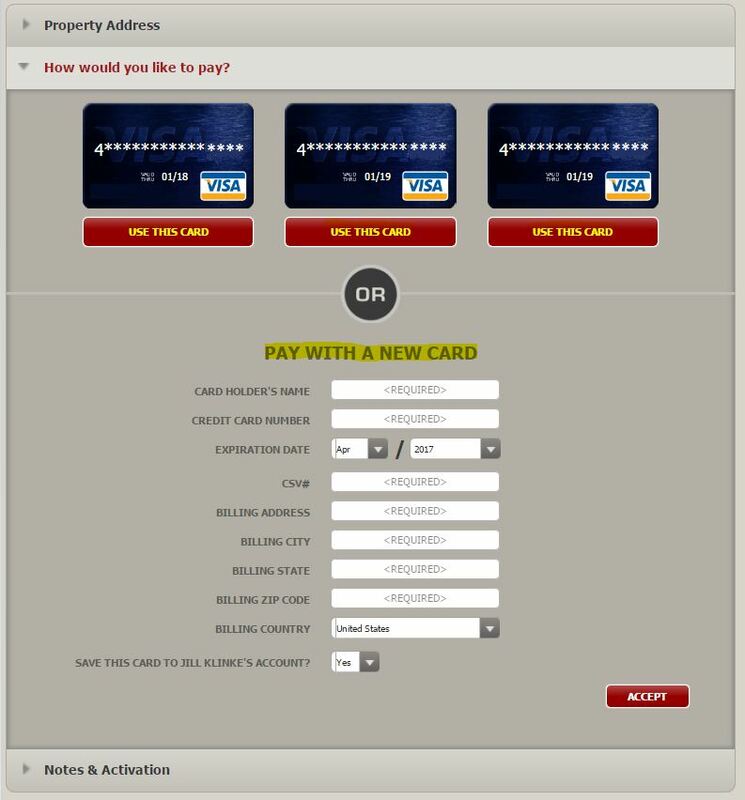 If you do not have a saved card or you would like to use a different card, please enter the credit card information under “Pay With A New Card”. Click “Accept”. If you would like to add any notes for the photographer, such as a gate code or preferred scheduling date, you can enter that in the “Notes & Activation” section. You will also be asked if you would like the photographer to activate the property website for you or if you would like to activate it yourself later. 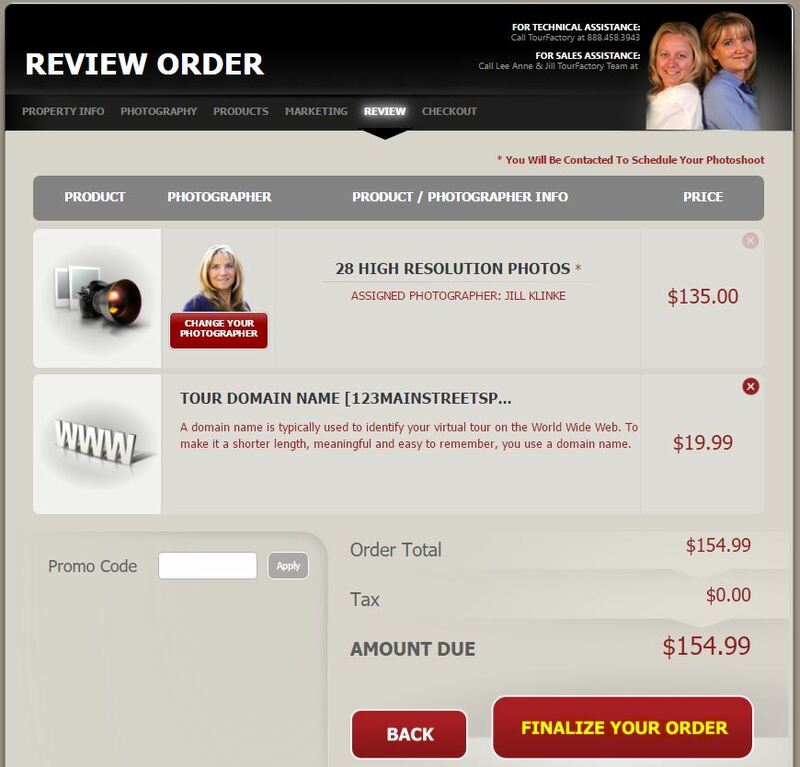 Once you click “Finalize Your Order”, your order will be processed and your photographer will be notified. Your photographer will contact you within 1 business day to schedule your photo shoot.